This report was co-drafted by the national COI specialists, as referred to in the Acknowledgements section. 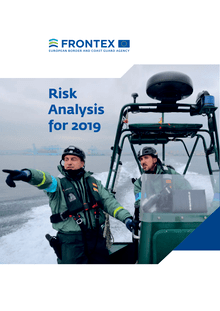 In the first month of 2019, the number of detections of illegal border crossings on Europe’s main migratory routes fell by a third compared to December to 6 760. The total was a fifth less than in January 2018 because of the lower number of migrants taking the Central Mediterranean route. 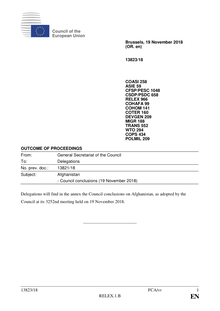 On 19 November 2018, the Council adopted conclusions on Afghanistan. 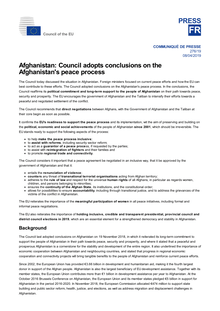 The Council reaffirms its long-term commitment to support the people of Afghanistan in their path towards peace, security and prosperity. The Council welcomes the provisional application of the Cooperation Agreement on Partnership and Development (CAPD) as an important step in bilateral relations between the EU and Afghanistan. 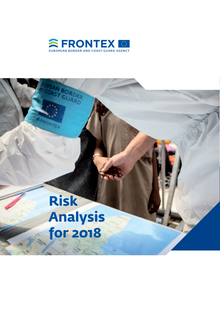 In the first seven months of 2018, the number of irregular border crossings into the EU via the top four migratory routes fell by 43 per cent from a year ago to about 73 500, mainly because of lower migratory pressure on the Central Mediterranean route. 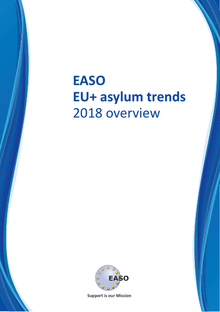 Recent analyses released by the European Asylum Support Office (EASO) reveal that the number of applications for international protection lodged in the EU+ in June 2018 registered a slight decrease compared to the previous month **_i_**. 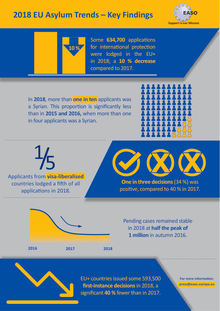 Approximately 51 300 applications were lodged in June; about 1 600 fewer than in May, while in the first half of 2018, some 301 390 applications were lodged in the EU+, a 15% decrease compared to the first half of 2017 **_ii_**. 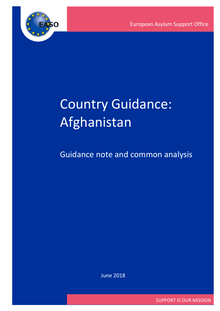 The common analysis and guidance note on Afghanistan are the result of a pilot process for the development of country guidance. This pilot process was completed successfully with the endorsement of the guidance note by the EASO Management Board during its 28th meeting in June 2018. 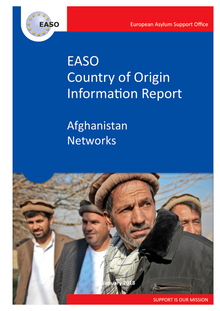 In addition to providing guidance on one of the main countries of origin for applicants for international protection in the EU, this pilot served as a basis for consolidating the methodology for development of country guidance, and as a model for future notes. 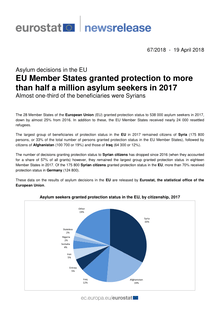 The 28 Member States of the European Union (EU) granted protection status to 538 000 asylum seekers in 2017, down by almost 25% from 2016. In addition to these, the EU Member States received nearly 24 000 resettled refugees. 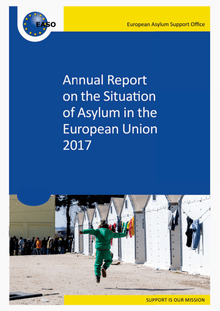 In 2017, 650 000 first time asylum seekers applied for international protection in the Member States of the European Union (EU). 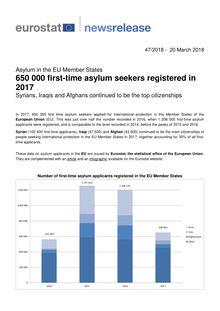 This was just over half the number recorded in 2016, when 1 206 500 first-time asylum applicants were registered, and is comparable to the level recorded in 2014, before the peaks of 2015 and 2016.
n 2017, the total number of illegal border-crossings into the EU dropped to its lowest in four years, especially due to a fall in detections on the Eastern Mediterranean and Western Balkan routes, Frontex analysts write in the Risk Analysis for 2018 report released today. 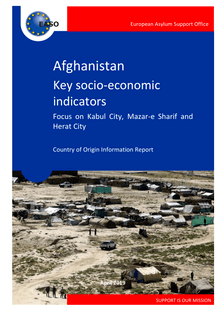 The annual total of 204 700 marked a significant decrease compared to recent years, but not yet a return to the situation before 2014, when figures ranged between 72 000 and 141 000 detections. 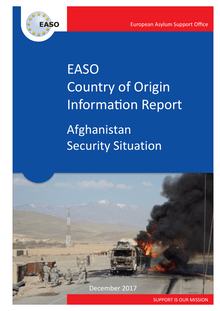 Today, the European Asylum Support Office (EASO) published a Country of Origin Information (COI) Report entitled ‘Afghanistan – security situation’. 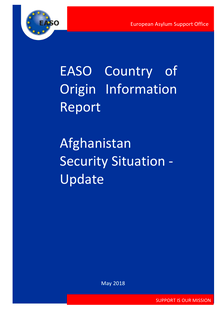 The report is a third update of the version first published in February 2015 and provides a comprehensive overview of the security situation in Afghanistan, information relevant for the protection status determination of Afghan asylum seekers.